Do you need a website? Need more visitors? /customers? 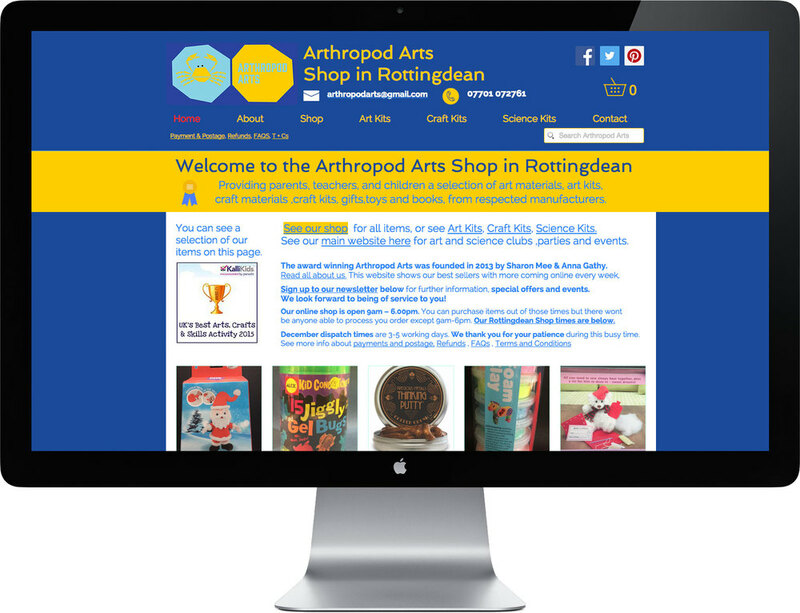 We create stunning websites, for creative businesses, charities and individuals. to your audience, sell products and services in a beautiful way. We ensure your business is found in google using best practice. Your website will also be human friendly and easy to use, so people can enjoy your website. need SEO for your site ? We provide analysis of your website using tools such as Google Analytics. Your data can help us see the changes necessary to improve your online presence. Need galleries set up ? Portfolio website, design consultation booking system, email sign ups, social media feeds, blog. New Yoga website, Video integration, email sign ups, events, payment systems. Senior Mindfulness Teacher Trainer's website. Class & courses, events, Retreat listings, Audio displays-soundcloud integrations, Video integrations. Website, therapeutic services portfolio, SEO, google adwords. 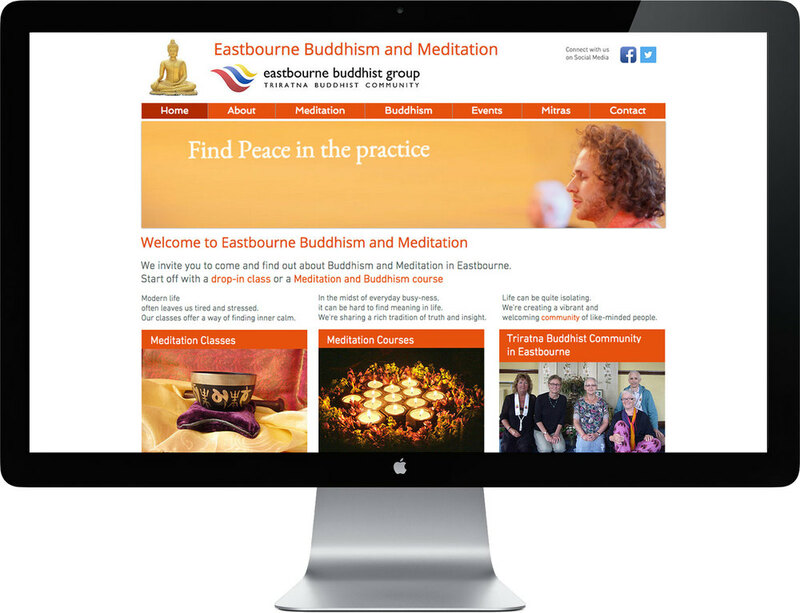 Meditation classes and courses in Buddhism, retreats, develop online presence, google my business services. Ecommerce website, email marketing set up, events booking system, invoice system booking system. E-commerce, multi-user franchise website redevelopment, store locator search, events, page builder, content management, password management, regular google analytics reports, ongoing support and maintenance. SEO and content management, images, video, audio, event booking system management, google analytics reports, volunteer management. 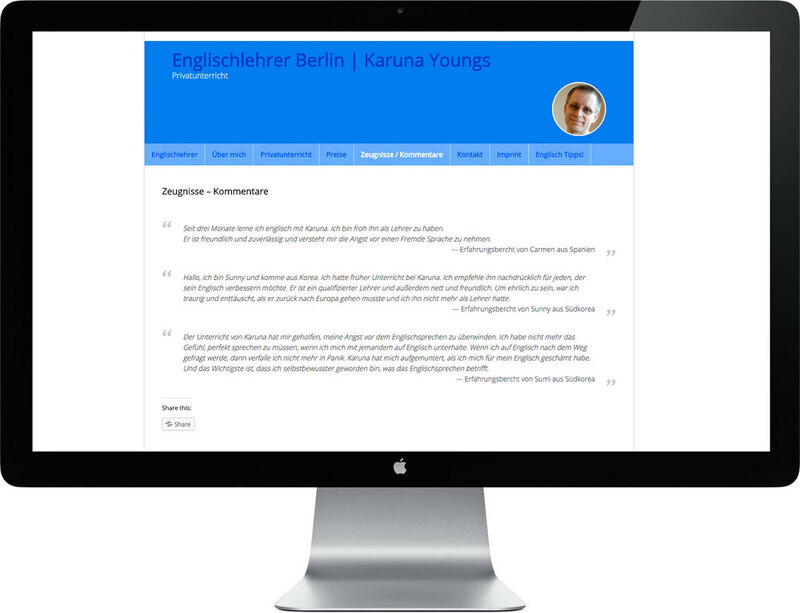 Simple web design for English language learning teacher. 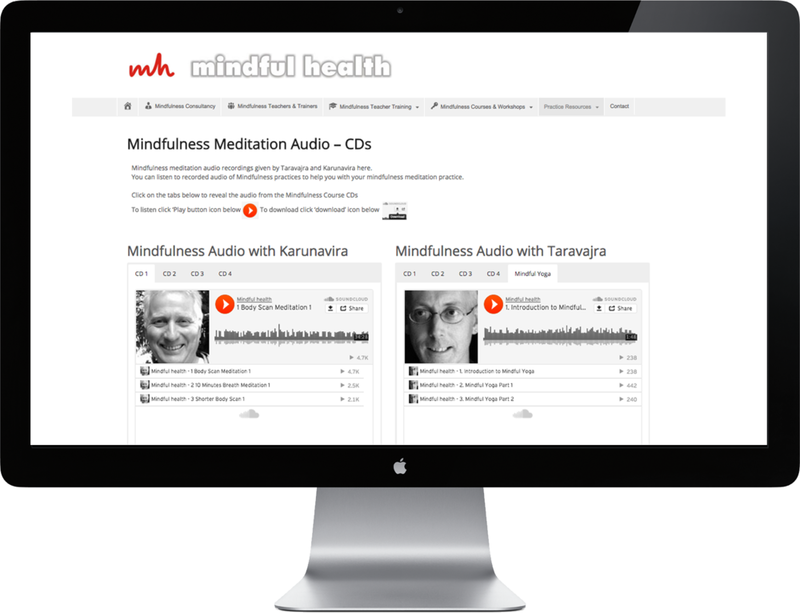 Simple website for mindfulness teacher, classes, course , info, video integration. Read what people say about working with me,I have a record of working with award winning creative people, businesses, and charities, see below. "Ady is a web ENABLER not just a web developer. I had very specific design ideas and wanted to skill-up and build my SquareSpace site myself. Ady gave personalised 1-2-1 training on how to use the platform and then sensitively and robustly supported me to create the website I wanted. He was always on hand for any problems I encountered, and effortlessly developed the more technical requirements of the site so that we went live on time and with no problems. I've since doubled my mailing list. I'm also able to maintain the site myself. I'm looking forward to learning and collaborating with him again on some in-depth SEO work and to enable my site for eCommerce. I heartily recommend Create Web Design. Thanks Ady!" "Excellent functional and attractive site, delivered on budget, on time. Ady is a pleasure to work with. The site often gets us compliments, and more importantly gets us work." "Ady has managed our website content including our booking system and paypal in a team for our Wordpress website for a few years, consistently, regularly updating it, developing it and adding new features working in relationship with the team who initially set the website up. His efforts to improve visitors to our website using SEO tactics created an increase of over 240% to our homepage alone! (which we could see by the data provided by Google Analytics reports he created). Which means more people benefitting from our services, coming to classes, courses, events, and importantly an increase in revenue to support our charity and cause. " "I set up my company, BilinguaSing (teaching children to learn Spanish and French languages alongside English through singing,movement and other forms of play) on a shoestring in 2013.After using a makeshift 'GoDaddy' web design package for some time, I finally decided I needed to take the plunge and get a 'proper' bespoke website designed to give a more professional look, offer more features etc. We were beginning to franchise so we needed to create a new website to allow for multiple franchise users to edit their area of the website, with some specific functions, customers to search for their nearest classes and course providers, buy CDs, watch videos of our work and images,/audio,see our blog and sign up to our mailing list. Ady was recommended to me and after our first conversation I knew he was the right designer for me! Ady and I worked closely together for the initial build and design, to ensure that I was happy with every step of the process. He made me think of better ways of doing things, and the result is better than I could have hoped for! We continue to work with Ady for our ongoing support and maintenance, and he also send us regular google analytic reports and organizes password management of our users,. I love working with Ady - he is so personable and has taken the time to really understand my business and what I want to achieve with the website. He now feels like an indispensable part of my team and I couldn't recommend him enough!" "Ady has been supporting my ideas and developing a website for my artistic project 'machine women'. He has worked closely with me throughout the process, teaching me as we go, so that I am able to update and continue developing my site. He really cares about the projects that he takes on, and approaches the tasks in a holistic and creative way. He continually suggested new ideas and ways of working to make a bold, stand out website. Why work with CREATE ? "I am just going to create a website myself"
which is more expensive than the cost of a good website. and help set up a site you can edit if you have a low budget. "I don't have time.. I'm too busy running my business..."
and letting the competition move forwards while you trail behind, lost in never, never land. your business is as important as our business. We have been working in the creative industries for a long time. 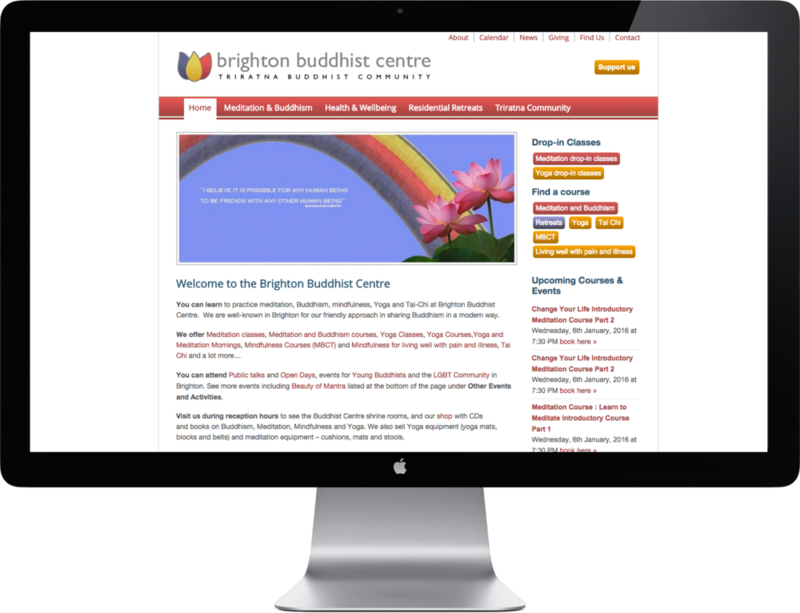 including Evolution Arts, Brighton Buddhist Centre, and as a freelance artist, designer, teacher/ trainer trading as Inspiring Arts and Health since 2000, with a variety of companies including Same Sky, Creative Partnerships, Creative Futures, and on Arts Council Funded projects. Ady can collaborate with a team of web developers, coders, copy writers, photographers, videographers and online marketers, depending on your project's needs and requirements. "How much will my website cost?" "How long will it take to create my website?" We need to get to know you, your business and what functionality your website needs before we can answer that question, but don't worry we will, thoroughly, and yes we deliver on time, on budget. "How do we begin? " "I want a website I can edit myself"
"I don't have any good photographs, or videos"
That's Ok, I know professional photographers, and I also have a variety of stock library memberships so can help source, and edit photographs (Yes, I can use Photoshop) and edit video (Yes I can use Final Cut Pro and Premiere), and upload it to You Tube or Vimeo. "How do you write for the web?" Depending on your needs, we can either work alongside you to gather and create content, or can bring in copywriters to work with you to communicate your message or brand effectively. "When is the best time to start ?" Now, contact us to have a free conversation about what you need to see if we can create together.